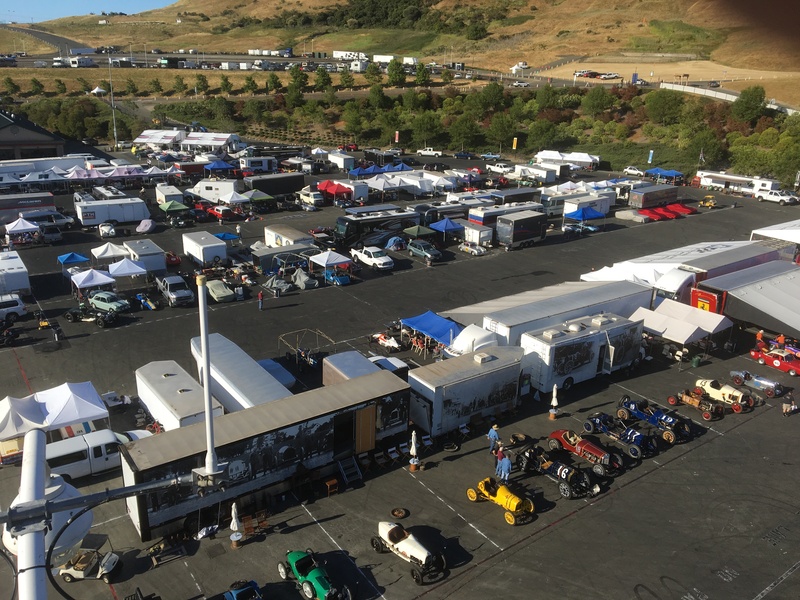 With over 300 cars entered the paddock is full! 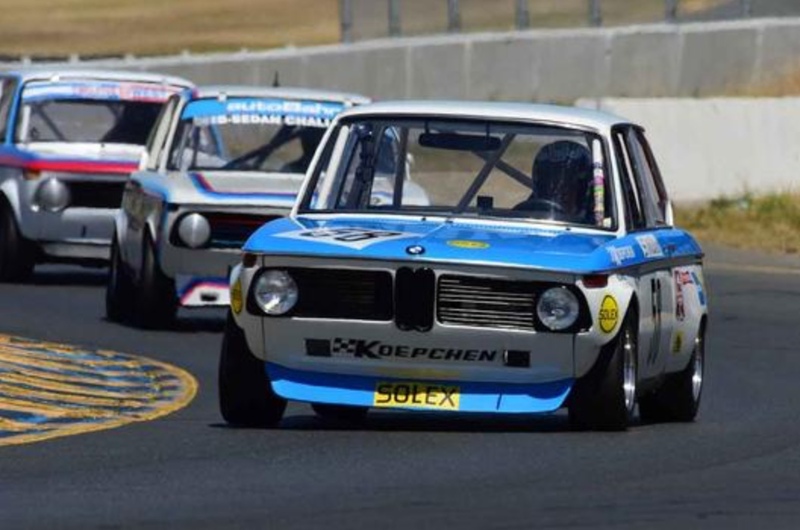 On June 1-3 we raced at the Sonoma Historic Motorsports Festival held at Sears Point Raceway. There were over 300 cars entered for the event. We brought Luigi and the K2002. 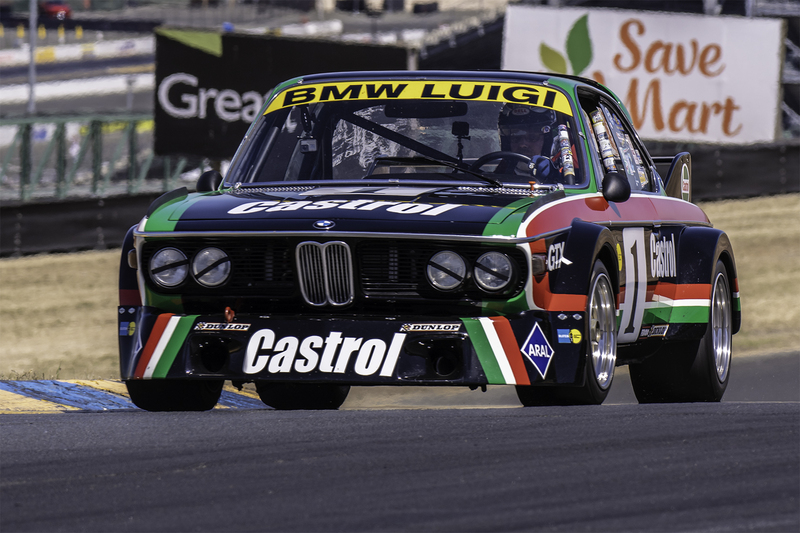 Luigi ran in a combined Group 12 & 13 which was made up of 1980’s-1990’s GTO cars along with IMSA and FIA cars from the 1970’s. It was quite a mixed bag of fast and slow cars. This was only the second time we’ve had the car out since we solved our mysterious braking problem. It turns out that the hats that have the brake discs mounted to them were not allowing the front rotors to “float” just that little bit so when I pressed the peddle they caused a severe shaking. 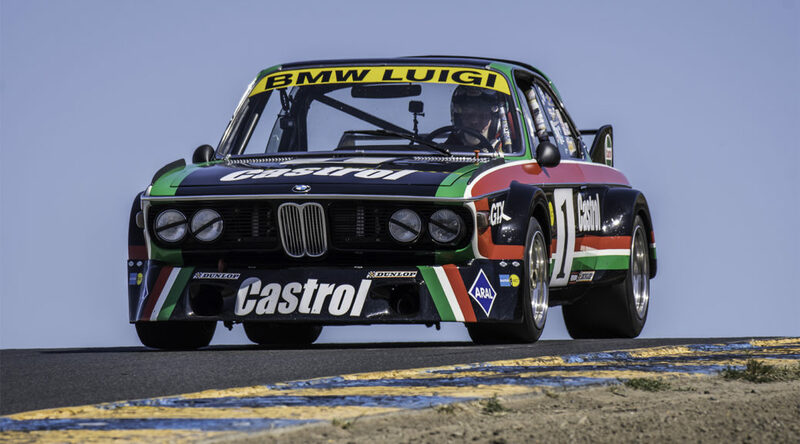 Not something to inspire great confidence going into Turn 11 at Sears Point! Luigi crests the hill at Turn 2. I was gridded 13th for our feature race. The start of the feature race was pretty ragged with cars still coming down through the esses when the green flag was thrown. I was about 20 car lengths behind Ransom Webster’s 935 Porsche going full throttle trying to catch the pack when it was waved. I think they were worried about the Pro Trans-Am race which followed our race running past the curfew so they just waved us off. I was about 1-1.5 seconds a lap slower than the group of cars right in front of me, and about 3 seconds quicker than the group just behind me. I was anticipating a lonely race, but that didn’t happen. Several of the GTO cars had problems right from the opening lap. 2 of them went off and a couple broke. I found myself chasing Walter Brown in his 1987 Camaro along with Gordon Johnson in his 1991 Cutlass. Gordon pulled off with some issue after about 4 laps leaving Walter and I to duke out 8th place. I was able to sneak by him when he went wide in Turn 2. He fought back and for the last 3 laps he hounded me until he finally cooked his rear tires and I was able to pull away and finish about 2 seconds ahead of him. My best lap was a 1:50.1. Terry is chased by a bunch of 02’s on Saturday’s Qualifying race. The K2002 ran well all weekend. I let Terry drive the car in the Qualifying race on Saturday. He broke his gearbox on Friday, plus the Qualifying race was back to back with the Qualifying race for Luigi. He finished 11th which was much better than I would have done starting at the back and trying to work my way through the 35+ cars in the Group. The feature race went very well. I was able to get by a couple of the Lotus S7’s that started in front of me and held them off until the very last lap. I missed a shift coming out of Turn 7 and one of them got by me. I finished 6th over all, 3rd in BS, with a best lap of 1:57.2. The only dark spot for the entire weekend came late on Sunday afternoon. While waiting for Mary to come back to the paddock I left my cameras on a friend’s golf cart while I went in to Driver’s Services to get results sheets. When I came out the cameras were gone. Some low-life had taken 4 GoPro’s. So I have no in-car footage from the 2002.